Can your shopping be a mission field? We believe that when God calls us to be followers of Christ and good stewards of the resources He blesses us with, this means that how we spend our money matters to our Savior! We have the power to be a light for Him in the marketplace, just as we do in our church, our work, with our family, serving on mission trips, and everywhere! During this season where many of us will be spending money on Christmas gifts, donations, and other purchases, we hope you will consider joining us in being FAITH-DRIVEN CONSUMERS. 1. Give while you shop, at no extra cost to you! If you shop at Amazon.com, Amazon will donate a portion of your purchase to the nonprofit of your choosing if you use the service Amazon Smile. Please consider selecting Minnesota Family Institute to be your designated Amazon donation recipient! Thank you! 2. Please consider Minnesota Family Council with your year-end giving! We have exciting news to announce! Through God's grace and provision, and some very generous donors who felt called to provide for the mission of MFC, Minnesota Family Council has its largest year-end matching challenge EVER at $150,000!! This means that throughout the month of December, for every dollar you designate to MFC in your year-end giving, it will be DOUBLED up to $150,000 by these donors! We thank God for your generosity and partnership with us, and ask you to please consider us in your year-end giving. 3. Let your faith influence where you spend your money! 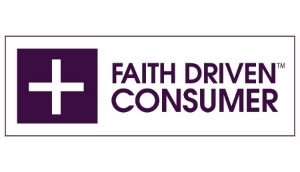 We are excited to promote a new ministry called Faith-Driven Consumer! Anyone can boycott a business, but what about doing the research to figure out what companies are most compatible with our biblical worldview? What about helping Christian men and women make wise decisions about where they spend their money, and helping business-owners understand that being more friendly to the Christian consumer will also help them! The marketplace is a place for mission work too! And many businesses simply don't know what the Christian consumer wants because Christian consumers haven't educated them. Faith-Driven Consumer has followed their calling to provide Christian consumers with this vital information we need in order to be missionaries in the marketplace. Using detailed scoring, Faith-Driven Consumer created an index that rates companies based on how their company values and their inclusion of faith-driven consumers in their business model. Check it out today and consider making your purchases at those businesses that rate higher on the Faith-Driven Consumer index! Watch a short video about Faith-Driven Consumer. Published on December 04, 2015 by Mary Thompson.